2017 MotoGP season is promising to be a cracking year for fans and as we move closer to the first grand prix, all teams have confirmed their lineups. 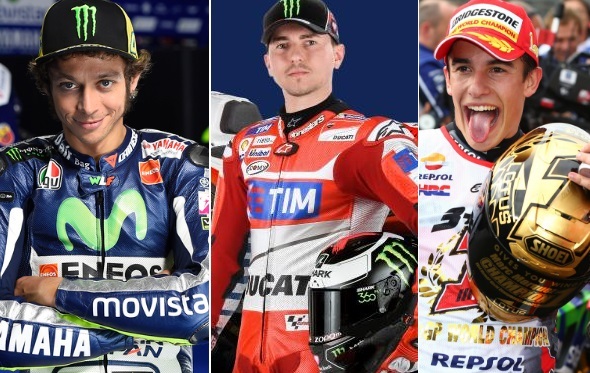 There have been number of changes including Lorenzo leaving Yamah after 9 year stint to join Ducati while Bradley Smith and Pol Espargaro to ride for KTM and Maverick Vinales to partner Valentino Rossi in Yamaha. Jorge Lorenzo – signed a new 2 year contract with Ducati after leaving Yamaha. He will be earning a reported $7 million a year with his new deal. Valentino Rossi – Rossi signed a 2 year extension to remain with the team for 2017 and 2018 season. He will be earning a reported $10 million a year salary guaranteed plus bonuses such as winning championship. Maverick Viñales – Yamaha signed a highly rated Maverick Viñales for next 2 years and Viñales is set to earn in the region of $1.5 to $2 million a salary. Pol Espargaro and Bradley Smith left Tech3 to join new team KTM Red Bull where both signed 2 year deals earning them a reported $1 million a year. Johann Zarco (Tech 3 Yamaha) Signed a deal for 2017 with option to extend for 2018. Fak all yar haters go vali ??? ?